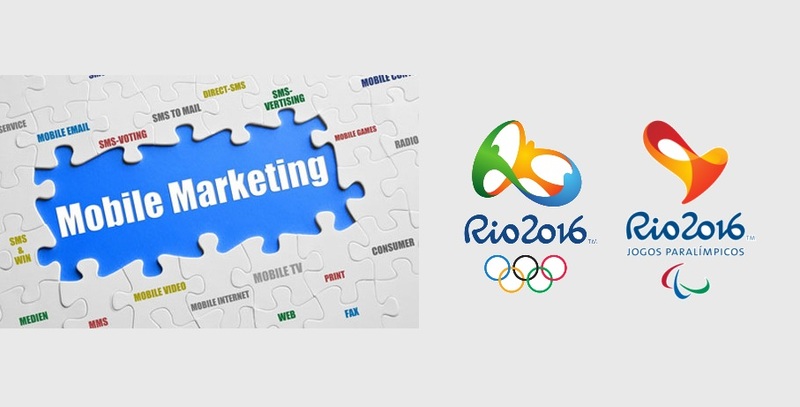 As 24 hours are remaining to start RIO Olympics 2016, Marketers are all set to win gold for their business using effective marketing strategy. Building strategy is another thing, but implementing it and getting benefits through their planning is another crucial task for marketers. Apart from commercial TV marketing, does mobile marketing win gold for marketers in Olympics 2016? In my views, the answer is “yes”, but how? After doing lots of research, we find some best mobile marketing practices that will add wings to your marketing plan. SmartInsights research says, “80% of users own a smartphone worldwide”. According to this, there is no need to say whether mobile marketing is important or not. As Olympics are about to start, people love to have information related to Olympic matches, players, venue and much more. So, marketers can win this opportunity by sending their targeted customers free SMS or push notifications regarding Rio Olympics 2016. It is always a good idea to remain one step ahead in this competitive industry. So plan ahead and give mobile priority. These two key factors will always help to win customers believe in your brand. During Olympics, many people & fans will travel to watch their teams, players, and matches. So, sending real-time updates to them along with your service offerings is a wise idea to make your customer happy and earn their attention towards your business. Nowadays, mobile devices are the best communication medium for people as you can share information, photos, videos and other things through smartphones. Social media sharing widens brand visibility and mobile devices are the easiest platform to share things with a single click. Create hashtags using Olympics-related keywords and your brand name as it helps to discover your content in social media searches. Engage with your customers using polls or surveys like favourite player, favourite team etc. While publishing content, tweets or anything to promote your business with Olympics updates, timing is a very important factor. You have to understand which time is best to publish content or sharing content on social media? At what time most people are online? This data helps you to promote offers and your brand services on right time to get a good exposure. Mobile is the future of marketing. As Olympics 2016 is near, get ready to take advantage of this big event and plan your mobile marketing strategy to build new customer. If you like this content or agree with our opinion, please share it on social media. Also, feel free to share your opinion on mobile marketing strategies! Next story How relevant is Social Bookmarking for SEO today?